LaBella Flora Childrens Boutique is an exquisite childrens boutique designed to provide beautiful clothing just for girls. We carefully select each and every item of clothing for our store to bring that unique touch to that special little girls life. Our desire is to bring a selection of the most beautiful clothing directly to you. We at LaBella Flora Childrens Boutique have been touched by adoption, which has blessed us with three beautiful children. After the adoption of our youngest daughter Savannah Flora from the Philippines, our minds often returned to the children who remained at the orphanage. As a stay-at-home mom and later as a teachers aide, I found it difficult to donate as much as I had hoped to the orphanage which had cared for my precious daughter. After researching small business opportunities, it was decided that an online boutique would be the perfect fit. From day one, we committed to sharing our profits with children in need. In 2005, LaBella Flora Childrens Boutique was born in my house. Since then the demand for additional space has caused us to relocate three times, each time remaining in the small town we call home. LaBella Flora Childrens Boutique has donated over $390,000 to charitable causes since our beginning. We have partnered with various orphanages around the world, donating 3% of our gross sales directly to these wonderful organizations. Our first orphanage was Chosen Children in Silang, Cavite, Philippines. Our daughter Savannah Flora was cared for by Chosen Children, and we have seen firsthand the love and care these children receive. 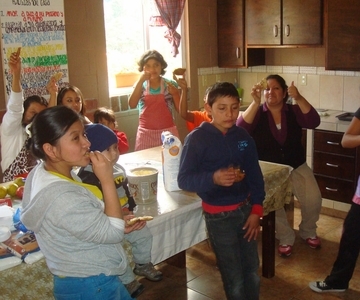 It is a blessing to be able to help this remarkable orphanage make such a positive difference in childrens lives. We contributed to an established trust fund for the orphanage. Here many children find forever families through adoption, but others, especially children with disabilities, will spend their lives at the orphanage. We partnered with our second orphanage, Haiti Home for Children directed by Gladys Thomas, where we were able to help fund the building of a second structure for the children. New Hope Uganda, the third orphanage we supported, received our annual donation twice. We are blessed to know our funding was used to build two new classrooms for vocational training, carpentry, and tailoring. After many years and carefully selecting many orphanages to receive aid, our ability to donate has grown along with our business. 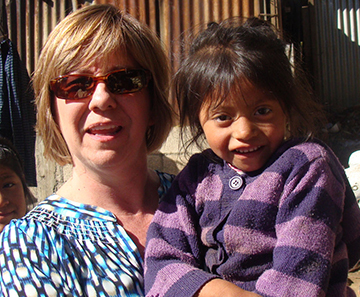 Currently, the orphanage we are partnered with is Village of Hope Guatemala. Instead of donating to a variety of orphanages, we believe it is beneficial to focus our financial contributions to one orphanage at a time. This allows for larger projects to be undertaken to support the operation of the orphanage and to enrich the lives of the children it serves. 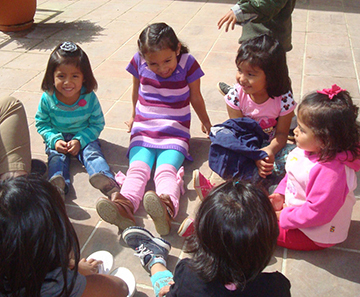 While supporting many orphanages internationally, we are also dedicated to helping children in our backyard. We are partnered with a local preschool created for children who otherwise would not have the benefit of attending preschool. Our hope is to provide students with a variety of materials that will help prepare them for a successful transition into elementary school. We sincerely appreciate your business and the way it has financially supported, not only our family, but those in need. LaBella Flora Childrens Boutique was named after our daughter, Savannah Flora. Translated, LaBella Flora means The Beautiful Flower. Please browse our selection of beautiful clothing just for girls and allow us to be a part of watching your beautiful flower blossom.